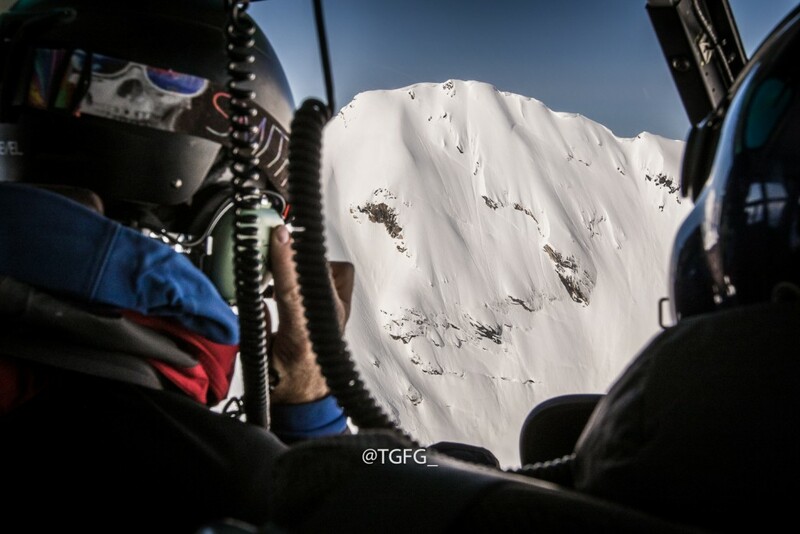 Updated with Video – Helicopter skiing is always mythical. No matter how many times you do it, there’s always an allure that you just can’t say no to. 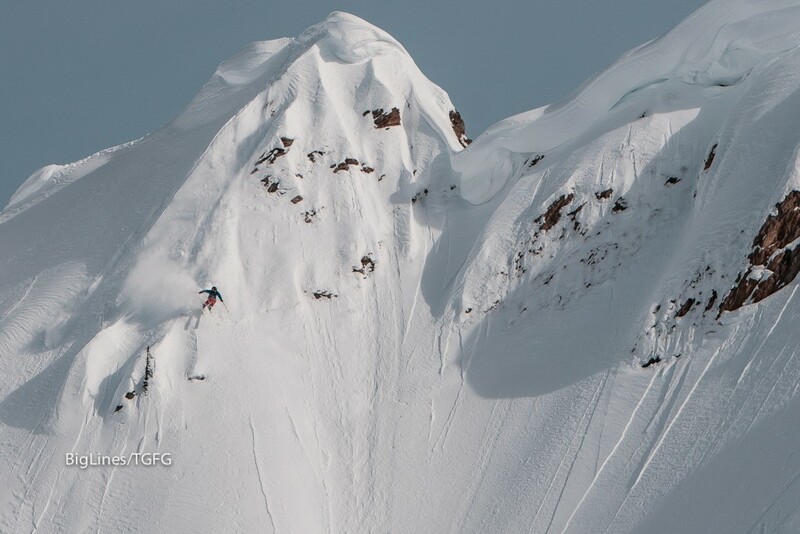 It’s an addiction to fly around and pick out mountains you want to ski. But these kinds of days rarely just occur and film days with helicopters, are nothing short of miracles if they turn out. One way to ensure your success is to put together a crew of people who have a habit of making miracles. Enter the Eric Hjorleifson, Chris Rubens team combo. 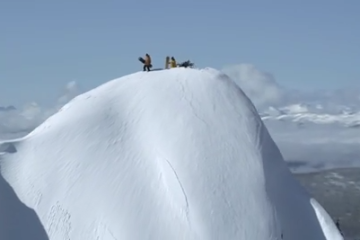 These guys have been heli-shredding for over a decade together and even greater than their on camera antics are their safety records. 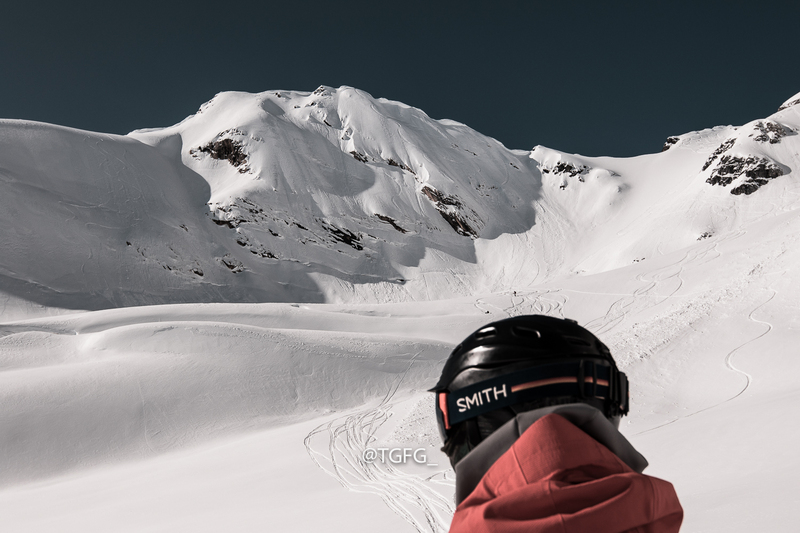 When Smith Optics added in Griffin Post to the day while shooting for their webisode series in Revelstoke this year, a successful trifecta was formed. 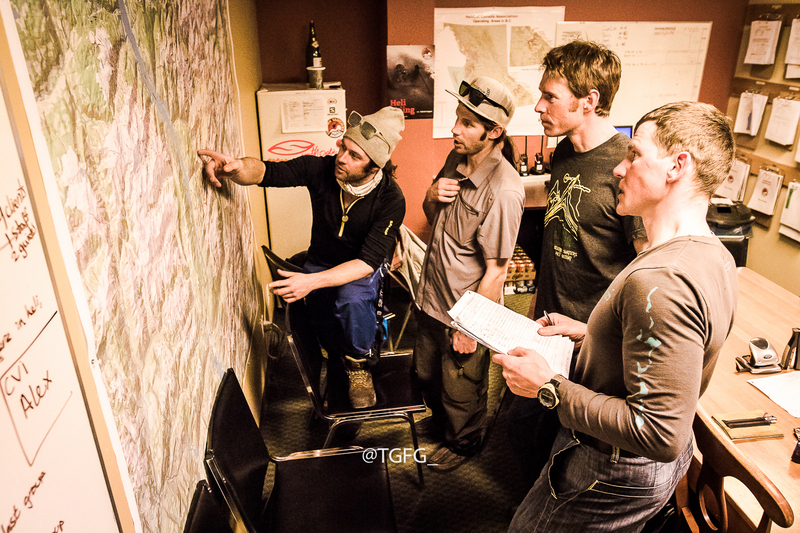 Chris and Eric meet the day before with guides to discuss possible objectives. 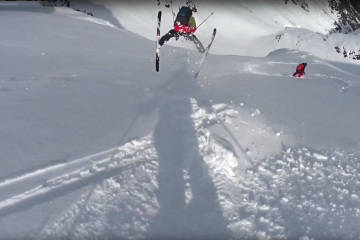 Early March 2015 in Revelstoke wasn’t exactly the easiest time to find great snow. Because of warm temps we needed to get as high as we could. Chris had been wanting to check out the South Carnes Peak for a long time and finally it was decided that we would go searching for snow up there. It was a busy day at Selkirk Tangiers Heli Skiing but luckily they found a way to accommodate us. 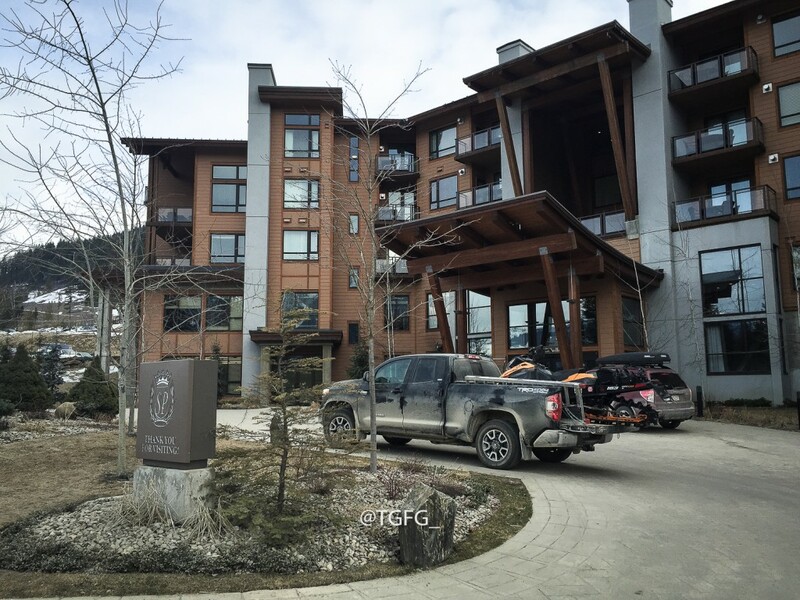 Leaving the Sutton Place at RMR in the morning to drive to Selkirk Tangiers heli base. 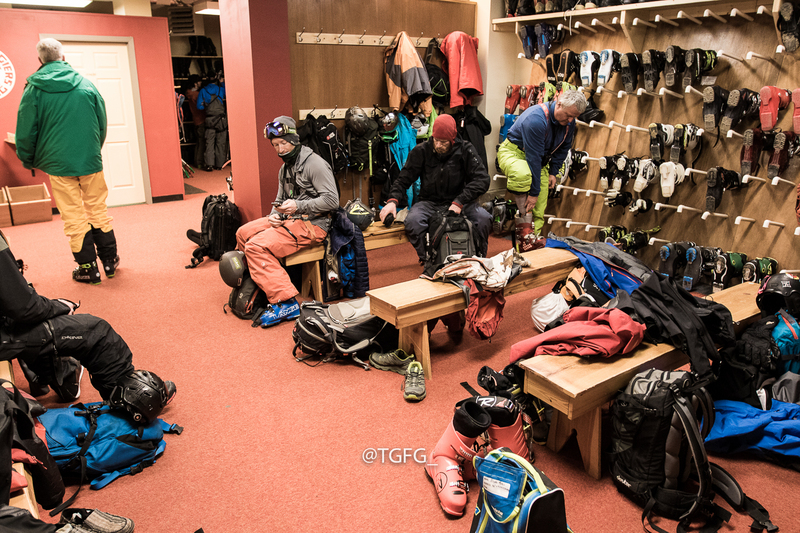 Griffin Post and Nic Teichrob get ready in the Selkirk Tangiers boot room before we fly. After all the planning and searching for snow, all of a sudden things were in motion. 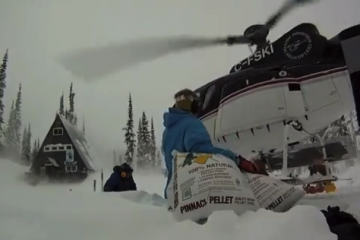 It’s amazing how quickly helicopters can transport you to the goods. Nothing really can beat them. 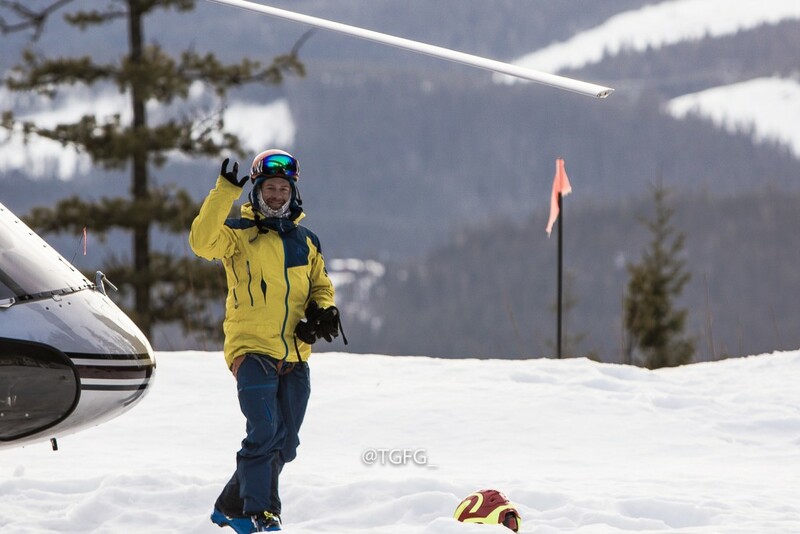 The athletes went in on the first trip to scout snow and landings. After deciding that everything was a go, the camera team got bumped in. Approaching the peak of South Carnes that the boys skied. 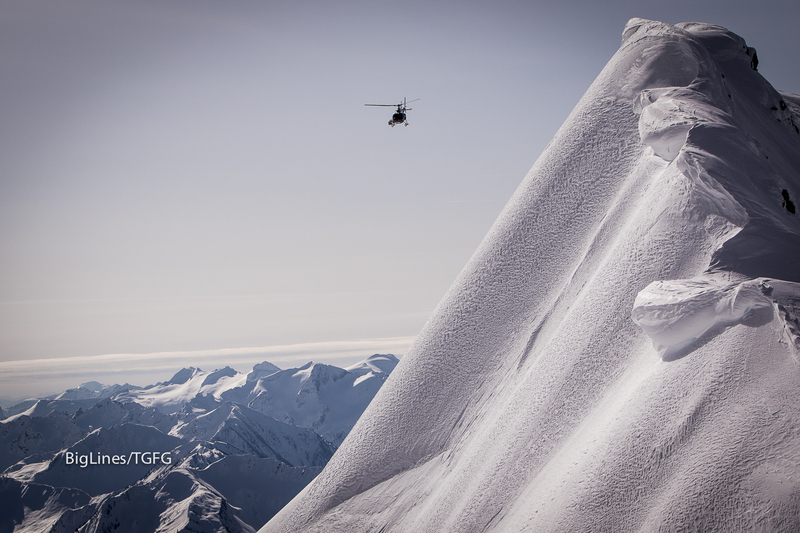 The heli takes the boys to the top. 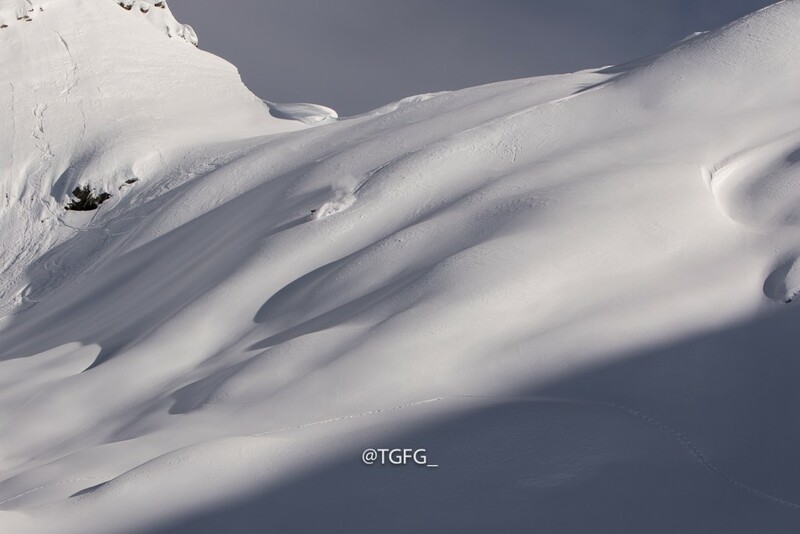 The first lines were the best of the day. The peak was super aesthetic and the view was amazing. 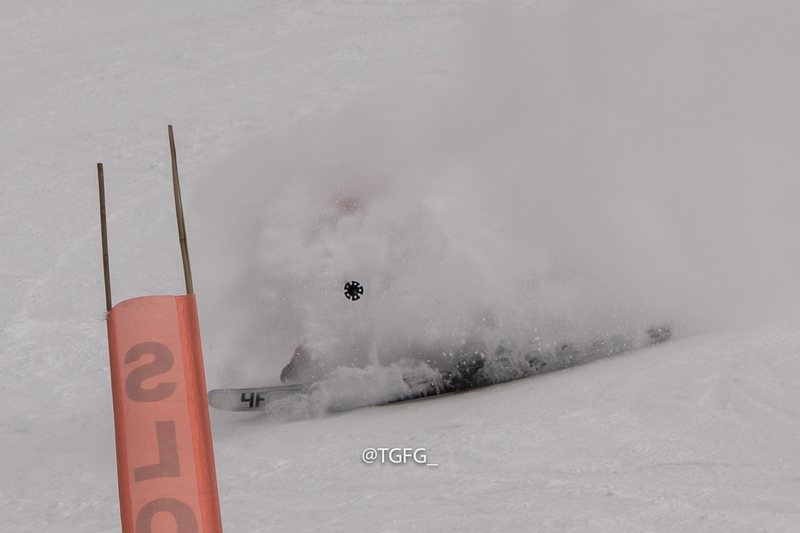 Griff Post dropped in first and had a fun one. His radio call up gave a good report on the snow. This meant that Eric and Chris could put more trust into what they were hoping to accomplish. 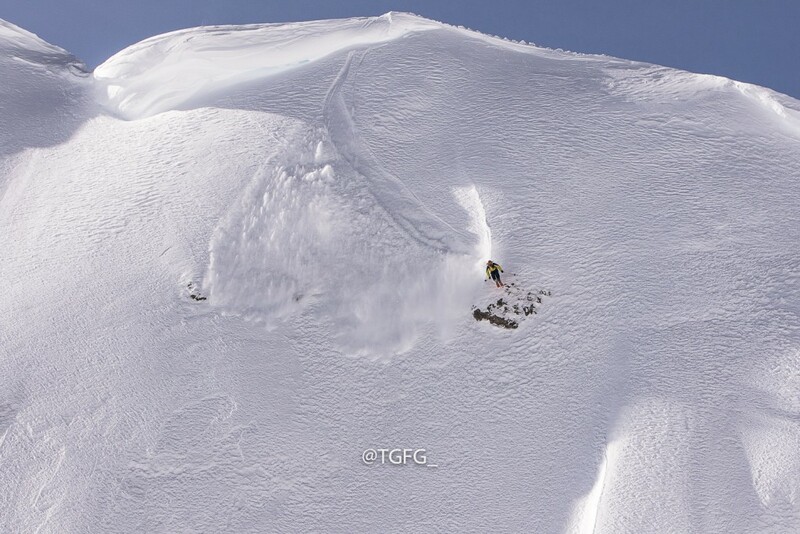 While the guides watched on the side the cameramen captured the moments that keep the athletes in the line of work they’re in. The experience of shredding a steep peak, top to bottom, is everything these lads live for. And they got it good on this day. Griff Post dropping in first on South Carnes peak. Rubens drops the line of the day. Hoji gets in on the action. 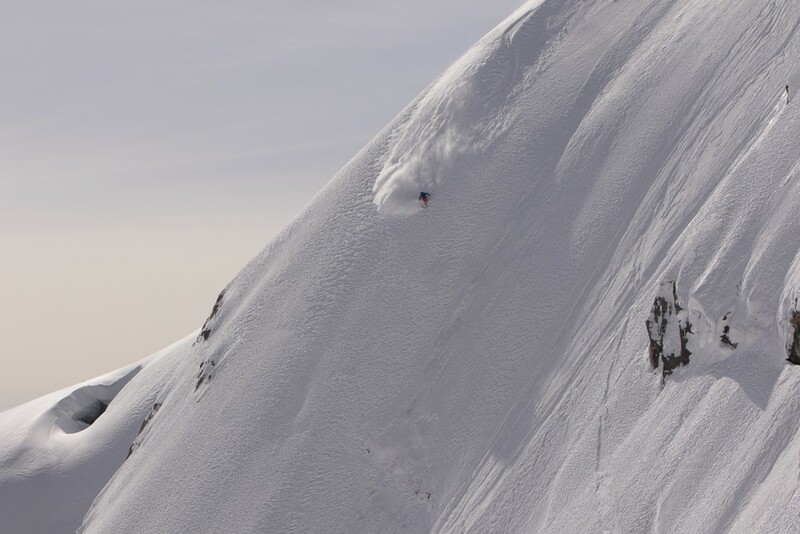 The rest of the day paled in comparison the to session off the South Carnes Peak. We did set up on a couple other lines but nothing quite held the austere that the morning peak did. 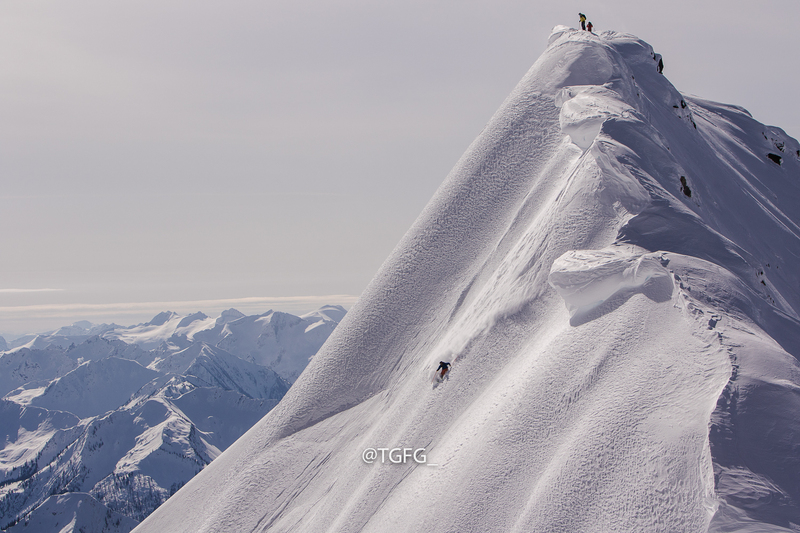 Shuffling around to different aspects proved to be a bit troublesome but in the end we did find filmable lines. Rubens, at the end of a satisfying day. A special thanks to Selkirk Tangiers for working closely with us on this day. 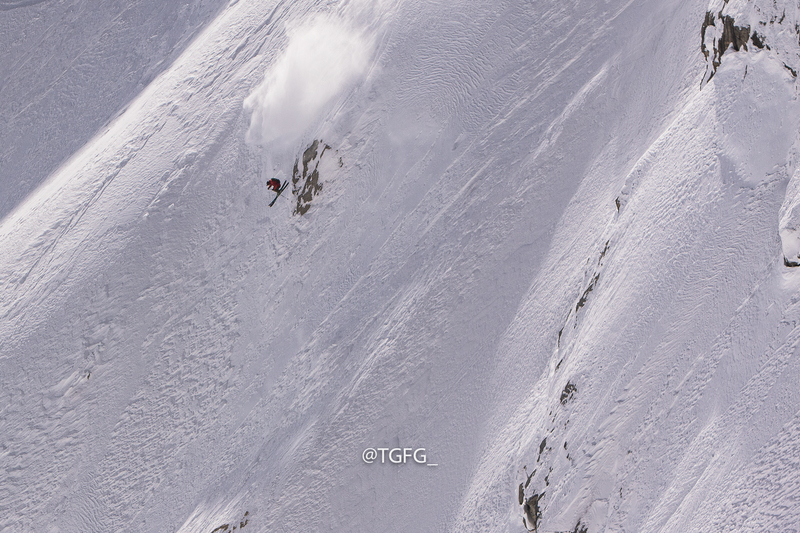 In the end, our team got some great lines in and came home safely. With three days of filming the team knew they had a webisode in the bag. The next day we shredded RMR before the crew disbanded. 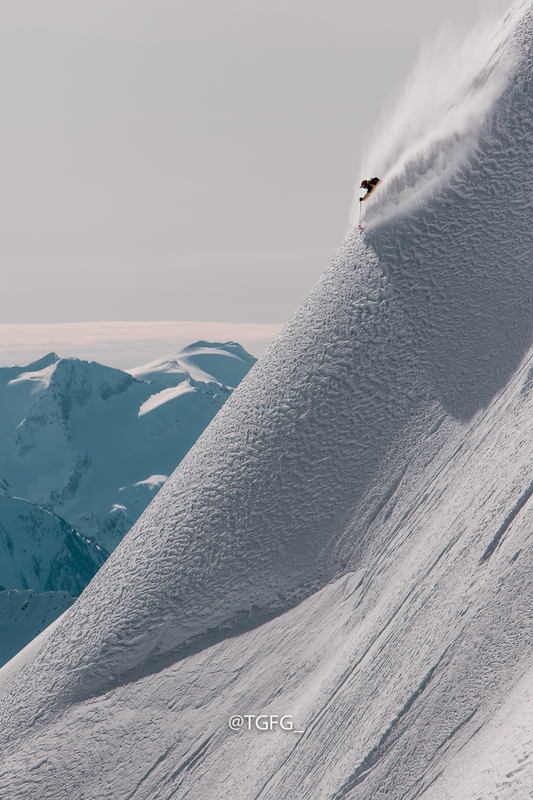 Eric Hjorleifson finds a groomer white room at RMR the next day. Read about the other days on this trip.